Marohasy’s startling scientific study will be ignored completely. But if it cannot be, just like the Catholic church did to Copernicus, the modern scientific community will launch an anti-science jihad against this non-believing apostate who dared question The Faith. Oh, my. Talk about an inconvenient truth … if you’ll pardon the expression. 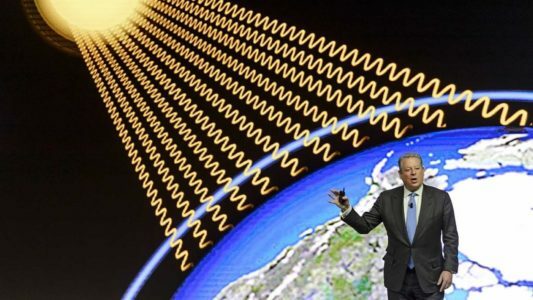 In other words, Marohasy understands what she is up against when it comes to this issue — the issue of Climate Change, which has become an article of faith, not just among the Left and its media, but within a scientific community eager to destroy any heretic who dares question the Dogma of Gaia. Need I remind anyone that there were no automobiles, coal burning plants, factories, air conditioners, charcoal grills, plastic, gasoline, Walmarts or capitalists during Medieval times? Yes, Virginia: Global Warming is a big, fat hoax. Outside of studies like this and all kinds of fraud within the Church of Gaia, there is also the fact that no one who claims to believe in Global Warming bothers to act as though they believe in Global Warming. If Leftists truly believe a warming planet will inevitably flood the coasts, why then do most leftists live on the coasts? Manhattan was supposed to be underwater a year ago. Nevertheless, CNN parent company Time Warner is spending billions on a new headquarters just blocks from all that dangerous water. If CNN doesn’t believe in Global Warming, why does CNN keep demanding the rest of us believe in Global Warming? Because it is all about empowering central government, all about organizing society and controlling free people through fear and lies. Anyway, Marohasy’s study will be ignored completely. But if it cannot be, just like the Catholic church did to Copernicus, the modern scientific community will launch an anti-science jihad against this non-believing apostate who dared question The Faith.